High Quality Content by WIKIPEDIA articles! Musical nationalism refers to the use of musical ideas or motifs that are identified with a specific country, region, or ethnicity, such as folk tunes and melodies, rhythms, and harmonies inspired by them. Musical nationalism can also include the use of folklore as a basis for programmatic works including opera. Although some evidence of the trend can be seen as early as the late eighteenth century, nationalism as a musical phenomenon is generally understood to have emerged part way into the Romantic era, beginning around the mid-nineteenth century and continuing well into the twentieth. It initially began as a reaction against the dominance of "German" music (that is, the European classical tradition) and later developed alongside the growing movements for national liberation and self- determination that characterized much of the 1800s. Countries or regions most commonly linked to musical nationalism include Russia, Czechoslovakia, Poland, Romania, Scandinavia, Spain, UK, Latin America and the United States. 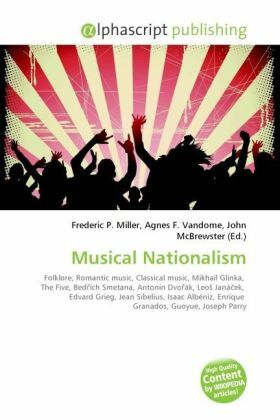 It should also be noted that musical nationalism is a term often used to describe non-European twentieth century music as well, in particular that originating in Latin America.